As the Red Queen series progresses into its culmination the cover of the books became darker and darker, reflecting the mood of each. And for the finale of the series called War Storm this trend is no exception. With the release of the official cover of the said book we can confirm that this will be the darkest yet, literally and story-wise. This official cover has been released over Entertainment Weekly accompanied by a juicy interview, which you may read here. According to the same article, "Mare Barrow and her Scarlet Guard must side with Cal and his Silver allies to defeat Maven and overthrow the kingdom of Norta for good. But Maven, of course, has plans of his own." 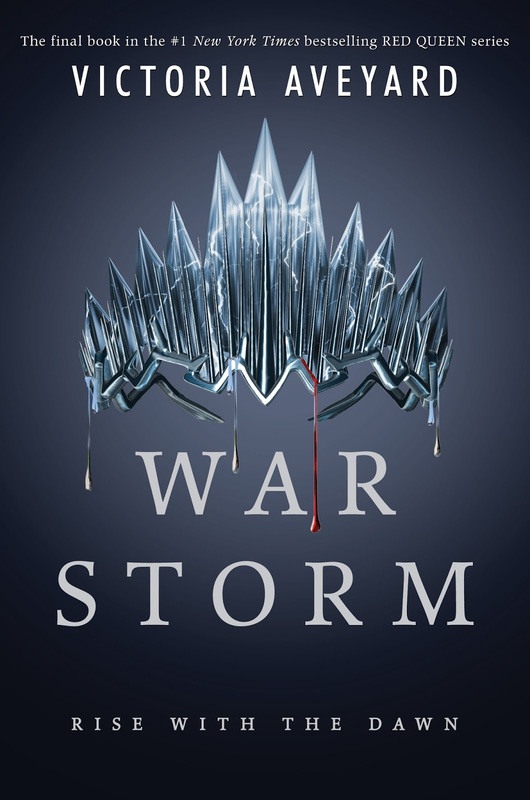 Check out the cover of War Storm by Victoria Aveyard. War Storm by Victoria Aveyard will be released on May 15, 2018.